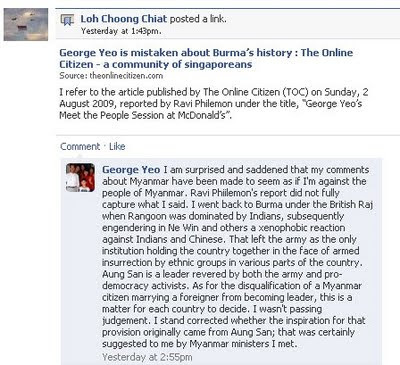 I wrote an article for The Online Citizen titled, "George Yeo's Meet the People Session at McDonald's", where mentioned Minister George Yeo's version of Burmese modern history. 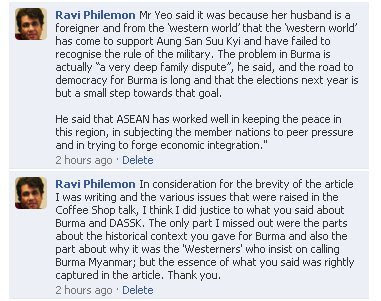 The article was picked up by John Moe, who wrote in to The Online Citizen that "George Yeo is Mistaken about Burma's History". 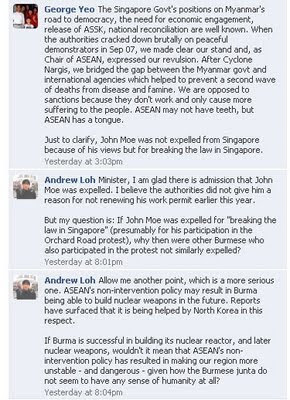 Foreign Minister responds to my article and to John Moe on his Facebook Page and his response and subsequent comments are posted here. what can you say about major companies now and how they are influencing culture through what they sell as well as how they sell it through their advertisements, etc? 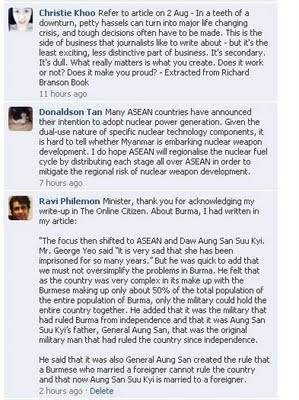 how can this be applied to singapore?